Sooner or later that manual fluid control system you have been developing will need to be automated and the different options for doing so are numerous, to say the least. Whether your priorities are cost, simplicity, convenience or you simply haven’t decided yet, the starting place is establishing what will you be able to do yourself and the size of your budget. The range of options for automating systems can be anything from buying a fully integrated laboratory automation instrument costing many thousands of pounds to buying a single-board computer and programming it from the ground up for the cost of the change in your pocket. In the middle ground there are various programmable logic controllers (PLCs) and computer interfaces with varying options for ancillary modules to drive outputs or read inputs. If, like many research and development professionals, you have a basic understanding of programming languages, then a simple computer interface can be the answer to manipulating the less demanding control systems. Simple on/off control of valves and pumps can be achieved at a modest cost and choosing how you want to program the device is a bonus, whether it is in Visual Basic, Visual C, C++ or Pascal. Should programming not be an option then there are a number of manufacturers that supply PLCs and computer interfaces using their own proprietary software. Note that some software is an additional cost to the hardware and must be purchased on a ‘per installation’ basis, which can prove to be expensive. Many of the said devices also need Input/Output modules to operate external devices. Somewhere along the line if a PLC or computer interface is to be used, connecting it to a computer is almost a certainty and the ability to use a variety of communications options is useful. 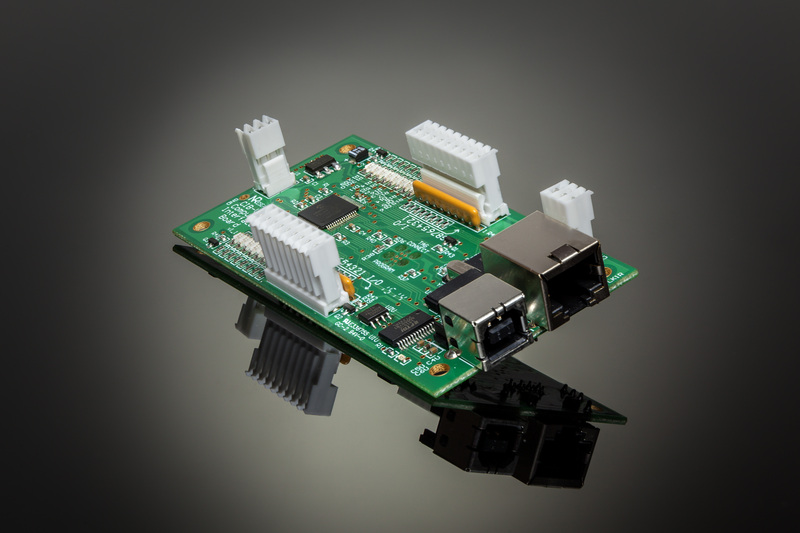 The most common connection is USB and it is the easiest to set up, however, other options such as RS-232, RS-485 and other protocols such as MODBus and CANBus are now also common-place. One very simple computer interface is the CIB that has 16 I/O that can be configured as 16 Inputs, 16 Outputs or 8 Inputs and 8 Outputs. The device is USB as standard but also has a RS-485 on board. The one feature that sets this apart from similar products is the method of sending data to the board. Once communication has been opened, all that is needed to switch an output on is to send an uppercase letter corresponding to an output, A for 1, B for 2, etc., and to turn it off, a lowercase letter is sent. This methodology enables a multitude of software applications to communicate with the board including terminal emulation programs using simple text-based commands. The outputs from the CIB are at 5V logic level and as such trigger external components such as valve drivers and relays to operate other devices. 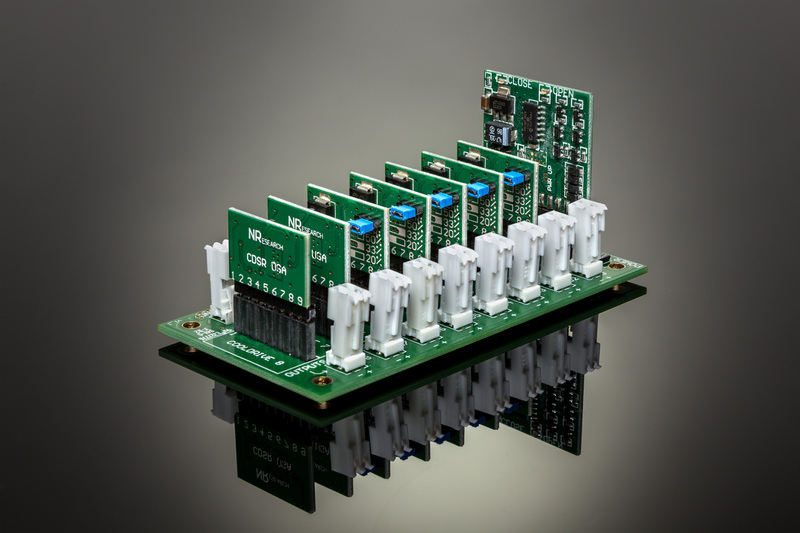 A range of drivers is available on a multi-board module if required. Gary Stevens is managing director of NResearch.